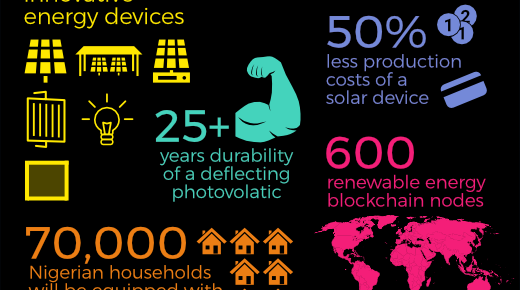 From different solar devices, to smart meters, an energy trading app and their own cryptocurrency, Solar Bankers is a multi-faceted project. I wanted to illustrate the project in a poster and therefore broke it down into several quantifiable aspects. 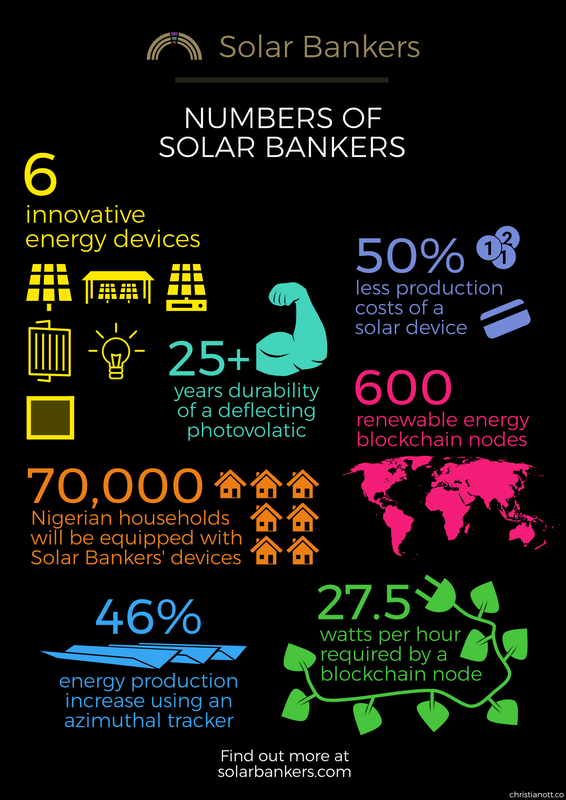 Whether it be their number of innovative energy devices, their ambitious pilot projects or percentages showing their competitive advantage, the numbers cover many key areas of Solar Bankers. Concerning the design of the graphic, I chose an approach pairing different bright colors together on a black background, while only elements that belong together were painted in the same color. See my introductory article about Solar Bankers for more details on the six innovative energy devices. 600 nodes powered by renewable energy will be shipped in the first batch of hardware distribution. See the section about the solar nodes on the Solar Bankers website for more information.